OUR CONTACT: (65) 6639 2567 / HOT NEWS: Already TOP! South Beach Residences 风华南岸府 – "You Luxury In The City Center"
Strategically located in the Marina Bay area, each residential unit offers an unparallel panoramic sea and / or city view which showcase some of the best architectural masterpieces that dot the waterfront, such as Espanade- Threatre on the Bay, Marina Bay Sands, Gardens by the Bay and Singapore icon - Raffles Singapore. An array of coffee joints, café, restaurants and pubs can be found along South Beach Residences Avenue and conservation buildings that spread across the ground floor and basement of the development for dinning options and experiences. South Beach Residences is directly link to Esplanade MRT station and City Hall MRT Interchange. 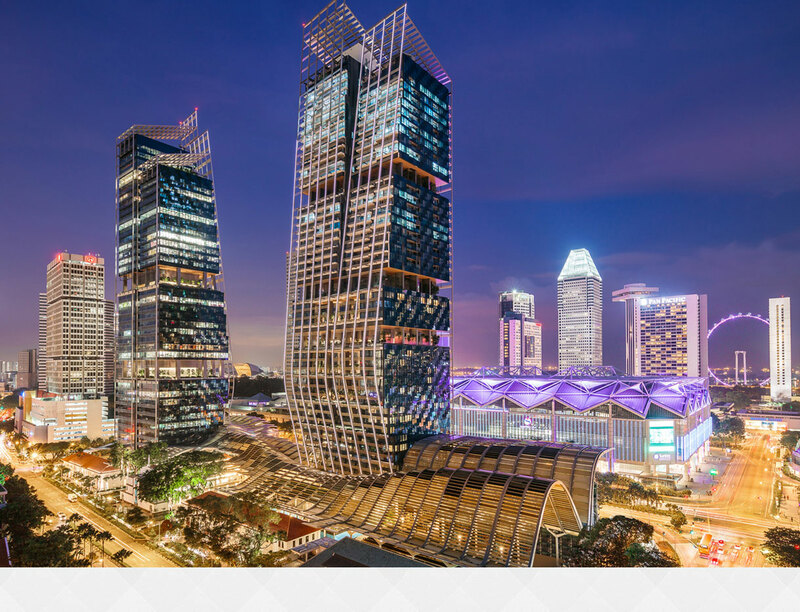 Through an extensive network of arterial roads and expressways Singapore’s prime business hub -comprising Raffles Place and the Marina Bay Financial Centre- can be reached in a mere five minutes, while Orchard Road and Changi Airport are under 15 minutes away. ondo facilities include: Level 22 Sky Garden: Swimming Pool, Wading Pool, Pool Deck, Jacuzzi, Gymnasium, Outdoor Gym, Function Room with Pantry Provision, Outdoor Function Area, Outdoor Waiting Lounge, Changing Rooms with Steam Room. Level 32 Sky Garden: Reading Room, Exercise Deck, Children’s Playground, Children’s Pool, Interactive Playground, Gourmet Pantry, Outdoor Waiting Lounge, Changing Rooms. Is South Beach Residences Location Really Good? Explore South Beach Residences at Hougang Avenue through the map below to find out if the location is ideal for you. To find out the distance or time taken to travel from the condo to another location, click on the link "Directions to" or "Directions from" on the map below and type the location address/name (e.g. Orchard Road, City Hall Singapore, etc). Remember to select the mode of the transportation – By car, walk or public transport, and select the most ideal route suggested by the google map. If the below map could not recognize the name of the location, try entering its postal code or address.